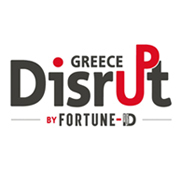 Disrupt Greece will take place on September 25th at Benaki Museum. 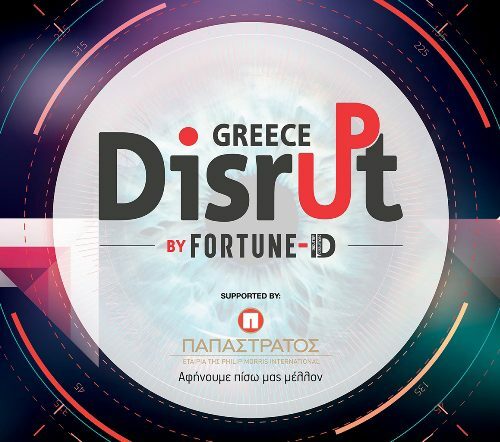 It was designed by FORTUNE GREECE and Industry Disruptors-Game Changers (ID-GC) to promote innovation, entrepreneurship and support the Greek startup ecosystem. The platform takes innovative ideas and companies into a full development circle, providing through this process the right tools to drastically improve efficiency of business and help regenerate growth, both economic & technological. On September 25th, the occasion will be given for new companies to speak about their ideas, products and services with PAPASTRATOS as a strategic partner and with the support of companies and institutional actors. All of the finalists gain access to services worth €70,000, while the first three teams win money prizes worth a total of €30,000. The MITEF Greece Startup Competition is an event organized by the MIT Enterprise Forum (MITEF) to accelerate business skills by allowing Gree technology startups to compete for prizes and international recognition, since it gives access to the MIT Enterprise Forum Global, a network devoted to help early stage entrepreneurs to transform ideas into world changing companies. For 2018, 25 semi finalists have already been selected and are given mentoring and workshops. In July 2018 top 10 finalists will be selected by a jury before a live pitch in July. If you want to see the future, know that the biggest free festival of innovation in Europe returns for a 9th edition from June 21 to 23 at the Grande Halle de la Villette and until June 30 ! Several futures are possible: this is the exciting theme of the 2018 edition of the entirely free Futur.e.s Festival. ! Are you passionate about digital, technology, innovation and wondering what tomorrow will be like? Each of these courses will be punctuated by 3 highlights: demonstrations with prototypes surrounding professionals to ask all your questions; conferences, round tables and masterclasses; and finally labs that will offer you sessions of 2 hours to think about a problem. But the Festival Futur.e.s is also activities and workshops for young audiences, artistic performances, concerts and a live radio to exchange in the evening! Innovative City, is one of the most relevant international convention dedicated to Smart City Innovation, attracting +3,000 visitors every year and taking place in Nice (France) on June 27th and 28th 2018 the Palace of Congress. From May 4th until May 20th is staged the Athens Food Festival, which present the culinary landscape from the capital city. Last Year this event gathered 100 000 visitors and is the meeting point for all the street food lovers. Think Biz is celebrating April 21st 2018, World Innovation & Creativity Day, in the best possible way! It has invited speakers from all fields who are innovating in their sectors (Growth hacking, Digital Marketing, Commerce, Health, ...). They will present their own perspective through the ideas that have done, with successes and failures! Codernojo the global free programming computer for young people organization intends to take you and young relative/ friends a journey to a robotic world! You'll get to know robots of PCS Edventures and ArcBotics, visual environments with block-type commands. In addition, it has invited speakers from all fields who are innovating in their sectors (Growth hacking, Digital Marketing, Commerce, Health, ...). In partnership with Think Biz for 2018 World Innovation & Creativity Day They will present their own perspective through the ideas that have done, with successes and failures!Entry is FREE, and take place at Gounari 69, Patras. Learn from Upstream’s new CEO how one of the most successful Greek scale-up companies stayahead of the curve with continuous innovation! Guy joined Upstream in 2004 and, since then, has served in multiple Product and Innovation roles. Guy has also co-founded Persado. Guy has followed a diverse career path, from a French pastry shop, to a messaging start-up! Event takes place at the Found.ation on April 24th by StartupGrind. Business Software Provided SAP is organizing a event about digital innovation on April 24th 2018. SAP executives, business representatives from Greece and abroad, collaborators and technology experts will present the latest developments in the digital world. The event will also involve case studies and live demos. Furthermore, emblematic figures from the field of sport, culture and art, will tell how they have turned their ideas into action throughout their successful career.